The 1st year football team took part in the Martin O’ Farrell Blitz on Friday past at the Mid Ulster Sports Arena. It was a really enjoyable day with good weather and good football on show. The team played really well and after a very tight group made it through to the semis to play our neighbours St Colmans. 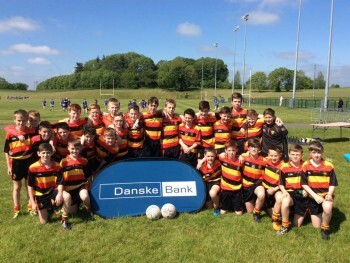 After defeating them they played St Pats Maghera in the final. The boys gave it everything but just came up short in the final. The boys have made it to two Ulster finals this year and hopefully in the future will take the next step.